My STEP Signature Project falls under the category of study abroad. The 34 day experience consisted of traveling through six countries to visit over 250 significant architectural sights. While in Europe we taught our classmates about the buildings we previously researched back at OSU. Our primary assignments while in country were sketching exercises multiple times a day to document and analyze important aspects of the structures we saw in country. People kept telling me before the trip started that it would have such a huge impact on me and that we would see and experience an incredible amount of things, but I didn’t fully realize the extent of the impact the trip was having on me until towards the end. Not only did I learn about and become immersed in the culture and architecture of the places we went, but I also got to meet so many new people within the architecture school. I can’t wait to see their smiling faces around Knowlton when the semester starts. I feel so confident going into the school year having so many more connections. These connections are essential to becoming successful in the architecture field. I was able to gain insight on my upcoming undergraduate school years, what to expect when applying to graduate school, and even finding a job after school in the real world competitive environment. Throughout the trip the entire group of 34 students became very close. We ended up going out together after program hours and exploring the cities as a group without being required to. I think this was really what brought us all so close together towards the end. We even have had a pool party reunion since we got back to the states. The building book we made before the trip and my sketchbook are my favorite souvenirs. I have used my sketchbook countless times to show people when I got home what I did and saw while I was in Europe and I am excited to use my building book to reference during studio when I need inspiration. The entire trip was uplifting, inspiring, and just plain fun. I didn’t think I would ever be ready to go back to school in the fall, but this entire experience has been so inspiring that I can’t wait to get back into studio and start creating and designing again. I didn’t realize how important or handy connections in the architecture world could be until I was talking to one of my friends I made on the trip. He said that one of our professors that was leading the trip helped him to get an internship for the summer. I had been trying for a while to obtain one for the rest of the summer following the trip and hadn’t considered my professors as an approachable resource. After gaining confidence and guidance from my new friend, I talked to my professor about my options and he said that he would look into a couple firms he has good relationships with. He was able to recommend me for a position at an architecture firm for an internship. I ended up getting an interview and then the job. Recognizing that my professors and fellow classmates are the biggest resource I could possibly have was a turning point for me that has continued to open up so many more possibilities and allowed so much more access to ideas and options that I wasn’t aware of before the trip. Gaining sketching skills through making quick as well as detailed sketches of the buildings we saw was so important to my transformation throughout the trip. Essentially these exercises gave me more confidence to communicate my ideas and actually be able to talk about the different aspects of buildings in a more advanced and technical way that I was not capable of before this experience. I know that I now have a huge advantage in my upcoming theory class next semester. This class leads discussions on many of the topics we talked and debated about while in country. The class covers many theoretical ideas related to most of the architects and buildings that we covered while abroad. I will be able to transfer my knowledge of these buildings to further study these topics and become even more educated on these important ideas that the architecture world seems to revolve around. I am excited to tie my findings from these daily history lessons from the trip excursions and apply them to new and innovative strategies for building, creating and designing in the future. I now have so many precedents archived in my mind that I will be able to pull out and reference for my upcoming projects during my studio classes. I was almost overwhelmed after our first week because it was starting to hit me that all of these buildings I had only seen previously in history class on PowerPoint slides were actually real structures in front of me that had three dimensions. I was in awe to be occupying the space of these buildings that had inspired me before, but were beginning to inspire me on a whole other level because of the personal engagement I have with them now. I understand what it is like to be in the environment that these buildings create and I have come to discover that I have started to develop my own opinion on what makes a building great. I went into buildings such as the Church of the Autostrada and decided that this was the type of building I want to create. This building and the entire trip gave me direction and drive and now I have a focus to start figuring out what I truly want out of my degree and even on the path to figuring out what I want out of my career as an architect. For my STEP signature project, I chose to study abroad in London, England. I selected the Global May Britain program offered through Ohio State to complete this project due to the freedom it allowed students to have within the city as well as multiple excursions lead by tour guides. 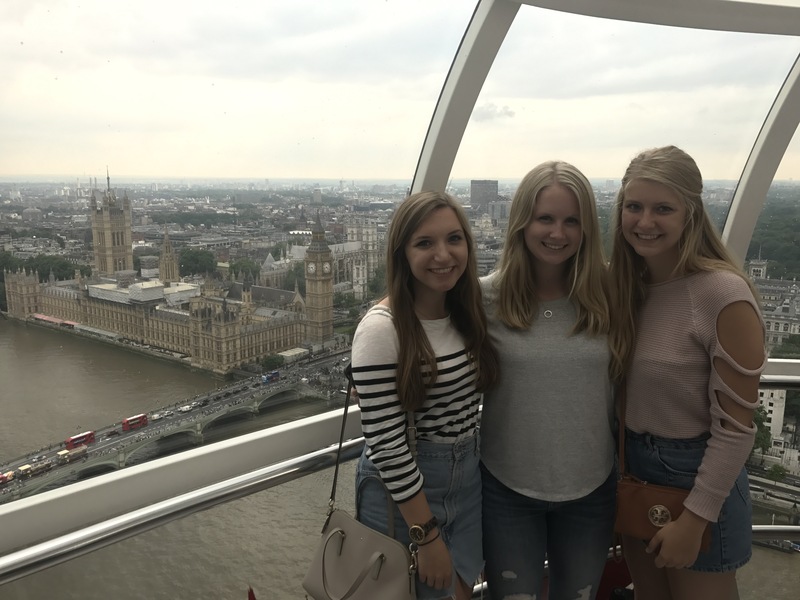 The purpose of this trip was to gain a well rounded knowledge of London while at the same time immersing myself in the city in a way that would allow me to feel as though I were living there. I had never been out of the United States before this trip. I had been to several other states, but never an entirely different country, let alone continent. I was terrified. I had no idea what it would be like once I landed in Heathrow airport, and I was very timid at first. I didn’t know any of the people with me in the class with me, but that would soon change. The first week I was on edge. I didn’t’t know where I was going or who I was with, but I was along for the ride. It took a few days and a trip to Scotland for me to fully realize I was in a different country and I better take advantage of it while I could. I made friends with people who had similar interests as me in the group, and together we treated London like Columbus. We tried new restaurants in parts of town he had not been to and foods we couldn’t pronounce. We laughed and danced the night away in pubs with locals who were interested in where we were from. Most importantly, I realized that I wanted to adventure. I wanted to have endless nights like those and days spent on impromptu hikes. I felt comfortable in my skin for the first time in a long time, and it took me going to another country to do so. Going to London, Glasgow, and parts of Wales ignited a sense of adventure in me that I didn’t know I had. Overall, there were many experiences that contributed to the changes I saw in myself throughout the duration of the trip. I found myself becoming more and more interested in the city I was living in and less and less hesitant to explore it. Instead of seeing the city as a big place for a person to get lost in, I saw it as a playground. One experience in particular that stands out to me when I think about this change is when the class took a tour of the Shoreditch area of London. It was covered in graffiti and art, but overall did not give off a warm and welcoming feeling. As we walked down Brick Lane, we saw food stalls and shops selling goods from all sorts of different cultures. I tried Curry for the first time there, which is something I would not have tried under any other circumstances, but I was in London, on a part of Brick Lane named “the Curry Mile”. I jumped out of my comfort zone and discovered something that I enjoyed, and from there on I realized that maybe getting out of my comfort zone didn’t have to be scary. Memorial Day weekend occurred during our trip, and due to this we had a Monday off from class. Many other members of the class were traveling to Paris for the weekend, but a few classmates and I decided to explore Wales for that weekend. Booking train and bus tickets along with rooms in hostels was not difficult and before we knew it we were on our way. I was nervous to be completely without adult supervision for the weekend. Once we arrived in Cardiff, we were immediately drawn to the castle ruins located in the city’s center. Old and new clashed in this location, and we were able to explore it all. After Cardiff, we headed north to a coastal town called Lluanduno. It was very small, but this is were I learned the most about myself. Lluanduno is nestled at the foot of a mountain. This mountain was nothing like any mountain I had ever seen. It towered over the town in a very peaceful manner. After we had spent the afternoon combine the rock covered beach for sea glass and having lunch on the pier, we realized we wanted to climb that mountain. As we approached it, we saw that there were two paths to take. One was paved and winded up the mountain gently. The other was a straight shot up the mountain, overgrown with weeds and long grasses. Due to the looming rain clouds, we decided to go for the overgrown path. Most of the way up I kept thinking to myself that I wouldn’t be able to make it to the top. However, I kept pushing and pushing until I had reached the top – and it was the most amazing sight I had ever seen. I could see the entire town as well as the ocean straddling the land on each side. I didn’t think I had it in me, but I had proven myself wrong. This change in me is extremely important and relevant to my life. As a future educator of the sciences, I want my students to be adventurous and curious. I cannot teach and encourage students to let go of their worries and explore, however, if I could not have learned that on my own. I was a timid person before this trip, but now I understand that I need to push myself out of my comfort zone if I want to have new and incredible experiences in life. I cannot just sit by idly while the world rushes past me, I need to go and explore it myself. I chose to use my STEP signature project for studying abroad. This past May, I participated in the Maymester program called Berlin Then and Now: People, Places and Experiences. 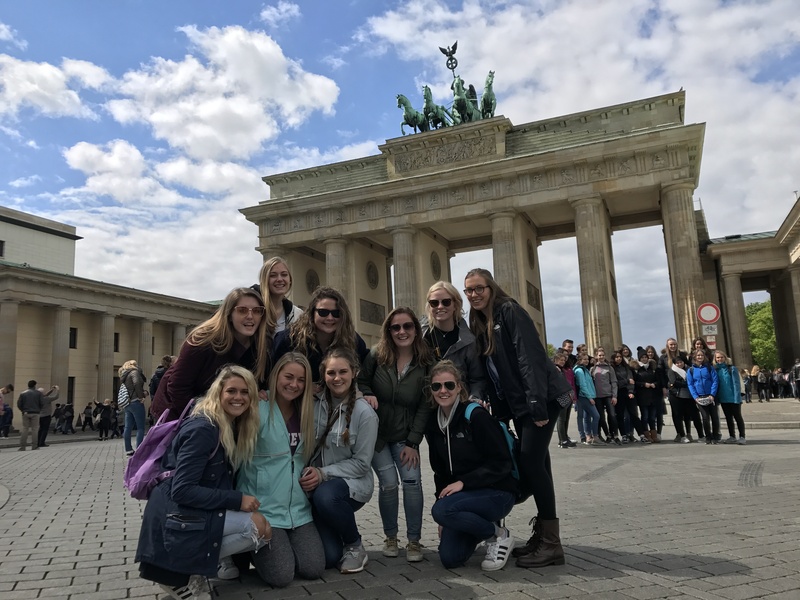 We took a class that was focused on the history and culture of Berlin and we had many tours and visits scheduled into the curriculum. I learned so much while I was on this trip. One of the reasons that I chose to go on this study abroad was because I felt very stuck in my day to day life at OSU. I wanted to break from my routine and have new experiences and that is exactly what I did. I had only been to Europe once before, and it was when I was a child, so this was basically an entire new experience for me. My mom always encourages me to try and live life outside of my comfort zone, and that is exactly what I did on this trip. I went to a foreign country, not knowing the language and not knowing any of the other people who were on the trip. I learned so much about myself and what I am capable of on this trip. I am more responsible and capable than I thought I was and learning that has been so encouraging for me. I also had experiences that helped to transform and shape my view of the world. I thought that I had a pretty good perception of how America and Americans are perceived abroad, but this trip really opened my eyes and gave me better perspective on that as well. Germans are blunter in their opinions and often discuss politics more than Americans do. Once, our waiter flat out asked us our opinion on Trump when he realized that we were Americans. It was very interesting to see and comprehend how Europeans seem to be more interested in American politics than Americans are. I think this has to do with the mindset that many Americans have in which the US is at the center of everything and every other country depends on the US. This closely ties into an assumption that I immediately noticed when we arrived in Berlin. This is what I like to call the “English advantage”. One of my concerns before going on the trip was the fact that I speak no German. I was assured that that wasn’t going to be an issue but I don’t think I fully grasped that until I got there. Almost everyone in Berlin speaks English very well, so it was very easy to get by without speaking any German. However, I still felt bad every time someone would speak to me in German and I would respond in English because if it was reverse, and someone in the US didn’t respond in English, it is not very likely that they would be understood. We met some college aged German people and we were discussing languages with them. One German said how they thought Americans were not smart when it comes to languages and I agree with them. In Germany, most teens are basically trilingual by the time they are headed off to university. This really made me think of how privileged I am to know English as my first language and be able to travel almost anywhere in the world and being able to communicate with people. There were many times when we went on tours or excursions that really made you think. We visited a concentration camp on the third week that we were there, and that was a very difficult tour. It was hard to go through the camp and walk the same ground where people have experienced the worst of humanity, but it was very informative. Many of the tour guides kept saying how these memorials and museums are built to remember what happened so events like the Holocaust never happen again. This made me think about our society today, and how people are still being targeted in different ways based on their race, religion, sexual orientation, etc. Experiencing this inspired me to be a more active member of society, in terms of social justice. On a different note, I formed relationships on this trip that were completely unexpected but that were a major part of the experience. I was very skeptical coming into this trip because I didn’t know anyone ahead of time and I didn’t know if I would be able to make friends. I remember meeting four others on the trip at the airport in Newark and realizing we were all on the same flight. We all really bonded that first day because we got to the hotel at 8am but we couldn’t check in until 11, so we went on a little tour of Halensee (the town we were staying in) and a few surrounding neighborhoods. Everyone was tired and sweaty from the plane, but despite that we all were really having a good time and truly happy to be there. This really set the mood for the trip because I realized that everyone was just as happy to be there as I was and we all just wanted to soak it all in. Everyone on the trip was very inclusive and ready to really experience everything that Berlin had to offer. I became close friends with my roommates, and we did almost everything together. It’s crazy because if I hadn’t gone on this trip, I wouldn’t have met them, which would have been crazy because I feel like I have known them my whole life and I’ve only actually known them for a month. This trip gave me amazing people in my life that I didn’t even know were missing from it. 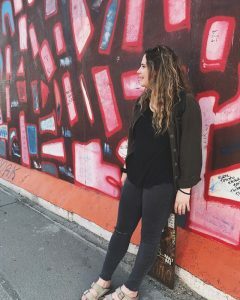 Besides the amazing friendships that I made, this trip has greatly informed me about the history and culture of Berlin and also helped me think more globally. Having an open mind will help me in every aspect of my life, whether it be socially, academically, or in my professional life later on. This trip has also sparked my interest in learning more languages, and I have signed up to take German in the fall! For my STEP project, I participated in an Education Abroad program based in Madrid. The program lasted 4 weeks, from the first week of May to the first week of June. 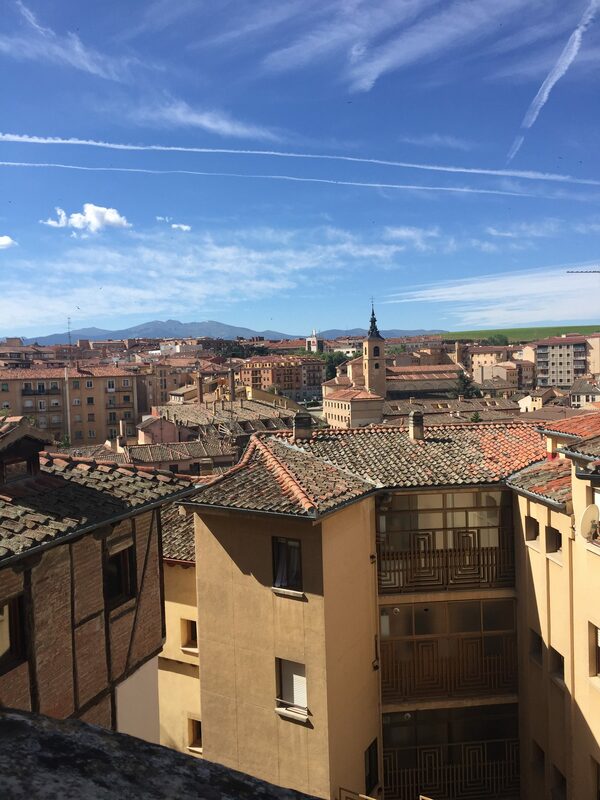 The purpose of this program was to gain a better cultural understanding of Spain and the many ways it is similar to and different from the United States. I knew this project would challenge me in many ways. I had to take a risk and step outside my comfort zone. But, it wasn’t just a step out of my comfort zone – it was a month of staying outside my comfort zone. One of the biggest transformations I went through was transitioning from being a tourist to a traveler. Traveling is idealized in a way that makes you think spending an extended amount of time in a foreign country will be the same as a week-long vacation in Florida – except it isn’t. Traveling challenges you in ways you don’t expect. We didn’t stay in 5-star resorts; we lived in dorms with minimal wifi and uncomfortable beds. When you’re on vacation, convenience and comfort matter. Traveling, though, is about everything you experience outside of the place you sleep. This kind of traveling wasn’t for everyone, and about the second week I started noticing people who were struggling with being a traveler and weren’t able to enjoy the experience along with its challenges. Being a traveler is all about being comfortable with the uncomfortable. I had to be open to trying new things, and accept that I would make mistakes. There were several experiences that contributed to my change from tourist to traveler. One of the first days being abroad, a girl in our small group had her phone pickpocketed on the metro. We all quickly realized that we could not have a false sense of security and needed to be vigilant with our belongings. Additionally, the majority of our time in Spain was without a tour guide or our professor, so it was up to us to decide where to go for everything. We had to learn how to navigate public buses, the metro, and trains in order to go where we wanted. This wasn’t always easy and occasionally we missed our stop or went the wrong way. We also experienced a few times where we were unwelcome, whether it was overhearing people talk about us or someone telling us their shop was closed, even though it was not closed for other people. It was challenging to find places where the whole group wanted to go and to constantly be trying new places. However, as we learned our way around, we became more familiar and comfortable on the streets. 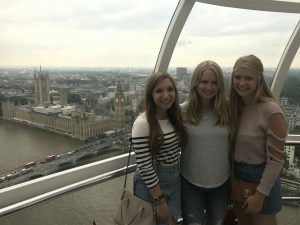 After about 1-2 weeks, people started realizing that we had different goals and expectations for this study abroad experience. With that, I began exploring more on my own or with 1-2 others, rather than in a large group. This initially felt uncomfortable. 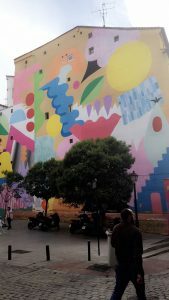 We didn’t necessarily have one destination in mind, and would end up going to different neighborhoods and decide there if we wanted to check out various shops, historic buildings, and restaurants. Then, people started getting sick and exhausted. Most of our days consisted of walking tours throughout the morning, a long lunch, short break, then heading out to explore on our own. After walking miles more than I’m used to everyday, it drained a lot of my energy, but the excitement of discovering a cool new place far exceeded the urge to stay inside. When you start getting tired, you start trying to do things that are more familiar, like eat at McDonald’s instead of a local restaurant. Other people stayed in the residence rather than exploring the city. As a tourist, you frequently are looking for fun, relaxation, and/or comfort. 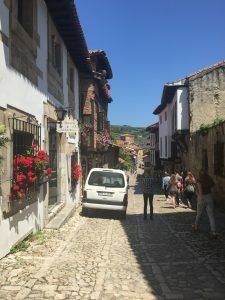 I found that overcoming the desire to stick to the familiar and comfortable, and trying to experience as much of the culture and history in a place is what it means to be a traveler. The biggest takeaway that I learned from this project was how to be open to change and adapt to my surroundings. I look at change as being a large part of my future career. I plan on working in the computer science and data space, which changes dramatically from year to year. Additionally, I do not plan on living in the same city throughout my career. I gained a significant amount of confidence in my ability to adjust to living, and learning to enjoy being in a new place. 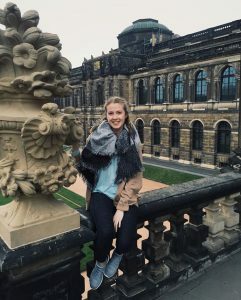 In regards to academics, I have learned that traveling is going to be an important part of my future, and I want to include classes related to international relations into my coursework. 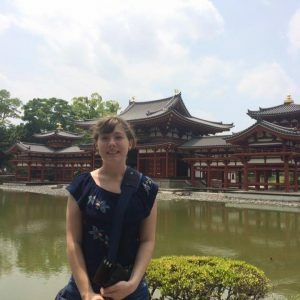 I participated in the Japanese Language and Culture study abroad program, during which I stayed in Kobe, Japan along with ten other Ohio State students. We explored the surrounding Kansai region, which is home to a great deal of history and unique culture. Furthermore, I conducted a research project on traditional Japanese festivals through interviewing students at a local university. The prominence of the cultural exchange between America and Japan came as no surprise to me. Considering both America’s worldwide influence and the amount of Japanese cultural exports that have made it to the United States over the years, it made sense. Still, I was interested by the fact that Americans and Japanese people had fallen in love with each other’s cultures to such an extent. Everyone on both sides was incredibly enthusiastic about both sharing their own culture and learning about the other, no matter what topic was being discussed. While I was previously somewhat aware of how globalized our world has become, it had seemed recently that many countries were becoming more introspective, so I was pleasantly surprised that this was not the case among the people I interacted with. We stayed at a building owned by Shoin University, at which we had two young women acting as Resident Advisors. One in particular was very knowledgeable on the subject of American popular music; she could probably name every major pop act of the last ten years at least, as well as every Disney idol. I greatly enjoyed talking with her about which songs she liked most, and she asked a million questions about various artists and what the lyrics meant. One night, the whole group decided to introduce both of our RAs to famous music from the 1970s and 1980s, which were older than the ones they knew about. They were highly entertained by our enthusiastic singing, and they showed us Japanese music from the same era in return. We were even taught some of the dances and choruses of a few songs. For one weekend of our time in Kobe, each of us stayed at the home of a Japanese family. My host parents were an older couple with adult children and young grandchildren. The first night I was with them, their younger son, his wife, and their two young daughters came for dinner. The son and his wife spent around an hour talking with me about the differences between Japanese and American schools, holidays, fashion, etc. In particular, the wife would ask me how to say various things in English, and the entire family would attempt to imitate me saying it, which they found hilarious. The most surprising moments were when the English and Japanese words were almost identical to each other. Similarly, we all laughed at my attempts to eat with chopsticks and my reactions to food I had never had before. The older of the two granddaughters, who was about six years old, showed me how to make a couple simple origami figures at my request – she was much better at it than I was. Each Ohio State student was paired with a student from Shoin University as language partners. 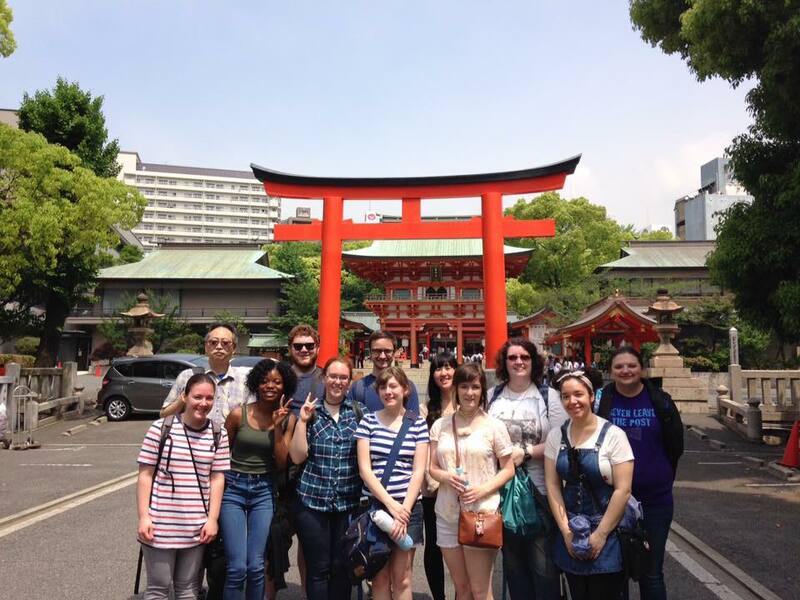 The Shoin students took us out for food or day trips when we had free time throughout the course of the trip. My language partner was an especially energetic and outgoing individual, and she spent a considerable amount of time with me and the other OSU students during the study abroad. She was very interested in American movies and television shows, particularly in Disney films. Several conversations were centered on topics such as the different names of the movies between English and Japanese, which ones were most popular in Japan, and which ones she liked best personally. She took me around Kyoto on the first weekend, a city I have always been fascinated by due to its historical significance, and was surprised by how much I was interested in places she considered to be pretty standard. Another time, she commented being shocked by how much all of us seemed to be enjoying Japanese foods such as miso soup or curry rice that she thought of as uninteresting, to which we responded that these foods were rarer in the United States. Of course, in any study abroad experience, people are going to want to share their cultures, but I was still positively surprised by the eagerness shown by both the Americans and Japanese people with whom I interacted. These observations were some of my favorite parts of the entire experience. Currently, I am not quite sure what I would like to do for a career. However, I do know that I want to do work that involves using my Japanese language skills and which would most likely be strongly related to culture. Understanding the cultural exchange between our two countries would be essential in such circumstances, whether I was interpreting, teaching, or researching. Furthermore, I have always been fascinated with the similarities between cultures. Part of my hope for my first experience in Japan was to observe in person some of these shared traits as well as incorporations of Western culture that had been made uniquely Japanese despite their origins, and that hope was both fulfilled and expanded upon by being able to witness the very multicultural interests of people from both nations during my stay in Kobe. Making a difference through agricultural education was the main goal of a group of pre-service teachers when they studied abroad in Honduras. 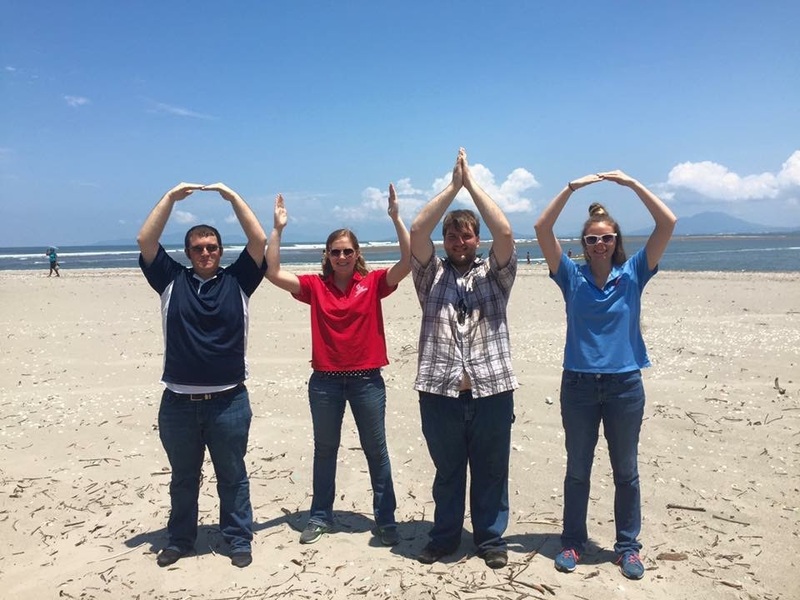 In May of 2017, a group of pre-service agricultural educators from The Ohio State University traveled to Choluteca, Honduras to learn and engage themselves in the culture. The study abroad is led by Dr. Jamie Cano, Associate Professor of Agricultural Education, and Mr. W.T. Agner, a PhD student at Ohio State. Much of the time was spent on service learning and community outreach projects. 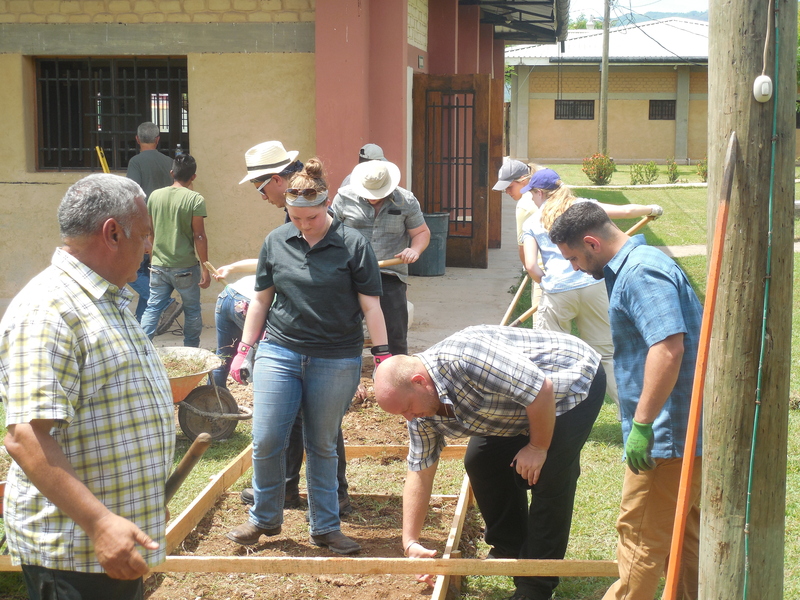 One of the projects gave the pre-service teachers had the opportunity to serve the Choluteca Vocational School by pouring a new sidewalk, paint a pavilion and benches, and run electricity to one of the classrooms. 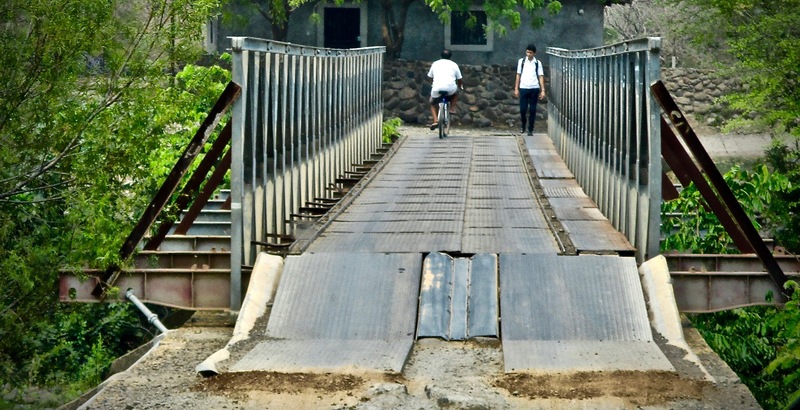 This vocational school had a welding, automotive mechanics, sewing, and baking programs. The students in the automotive mechanics program were learning the same concepts, such as the small engine components, as agricultural education students in the United States. 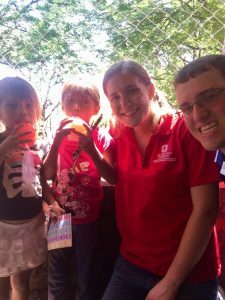 The Ohio and Utah students also experience the Honduran lifestyle when they cooked and served lunch for elementary students in the backyard of a traditional Honduran household. Learning about the diversity in agriculture was another aspect of the experience that the pre-service teachers fully engage themselves in. 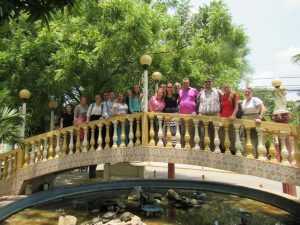 They had the opportunity to visit a melon farm and processing plant and sugarcane farm. 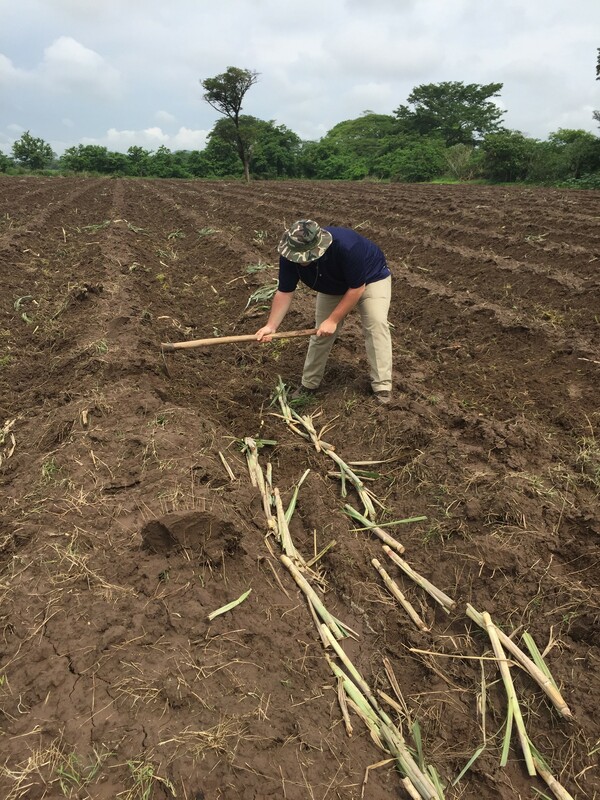 Not only did they visit the sugarcane farm, but they had the opportunity to plant a row of sugarcane by covering up the stalks using a garden hoe. I was able to interact with local farmers and learn about their farming practices and way of life. 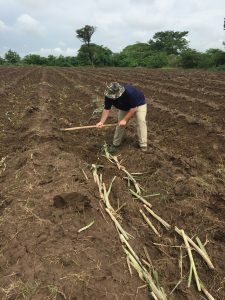 The farmers still use many traditional practices that have successful outcomes. They are a society that takes pride in their crop each year and are excited to go to work everyday to feed their families. Many of them has inspiring stories that gave me a better understanding of global society. My STEP Signature Project was an education abroad experience in Madrid, Spain. 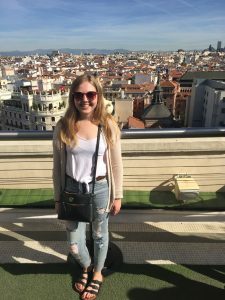 The trip was part of Ohio State’s Global May program and I was able to study and live in Spain for a month. 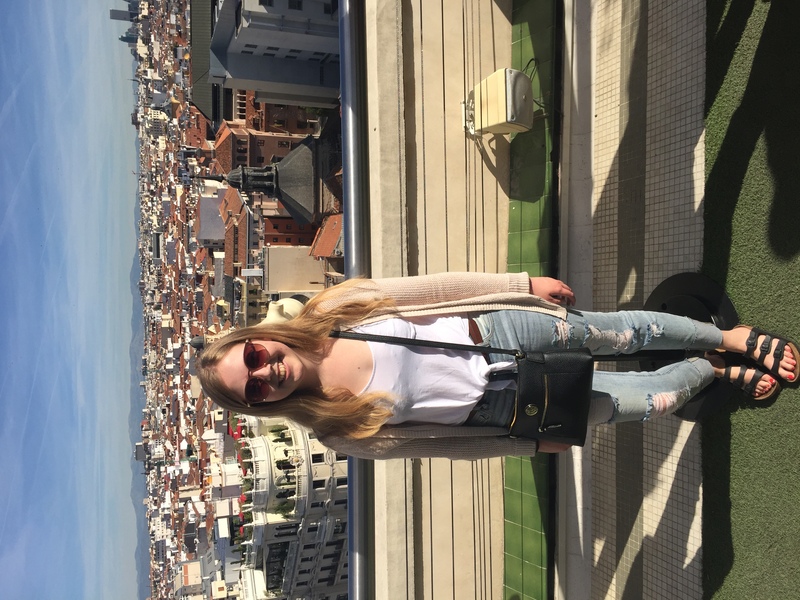 While in Madrid, not only did I learn about the history and culture in Madrid and across Spain, but I learned more about my identity as an American and my view of the world. I had never been out of the country before and being able to live in a place whose history goes back thousands of years was amazing. As I studied Spain’s history and culture, I realized that America’s history is relatively modern in comparison and my identity as an American has a lot to do with the ideals of freedom and liberty that the democracy was founded on. As for Spain, however, their democracy was only founded in the last 50 years so a Spaniard’s identity is not rooted in a democratic ideology like an American’s. My view of the world transformed in the sense that I realized that each country has an identity that its people hold, but those identities are not all ideologically based like the United States, despite maybe having a longer history. Prior to completing my STEP Signature Project, I was only able to imagine what life in another country looked like. 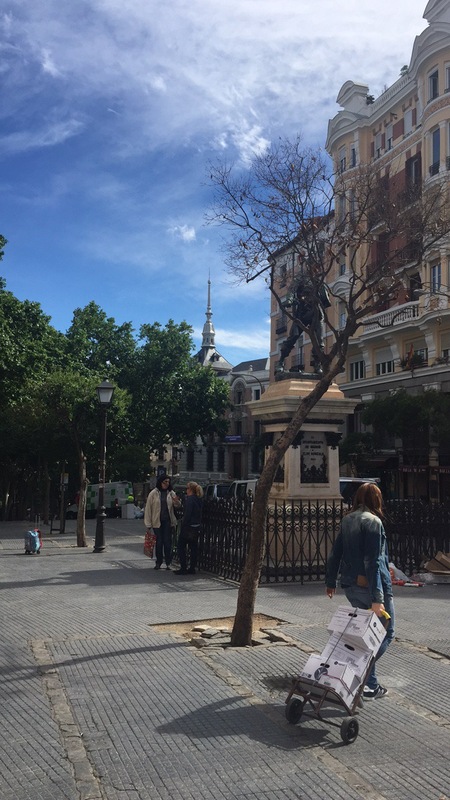 Adjusting to a Madrileño way of life had its challenges, but by the end of my month in Madrid, I felt like I had transformed and it was difficult imagining my way of life back in the United States. The way of life in Spain is much less fast-paced than in the United States, where we always feel like we need to be working and be busy. I realized that Americans and Spaniards both try to get the most out of each day, in very different ways. 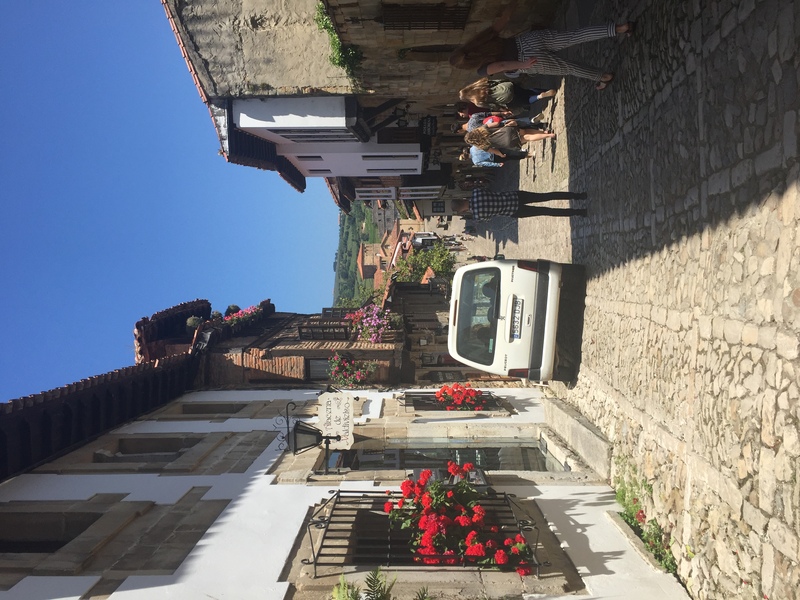 Americans typically try to fill their days with as much as they possibly can do, where as Spaniards will take the time to enjoy and experience a few things. 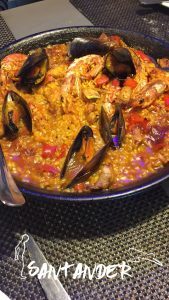 One of the key aspects in becoming accustomed to life in Spain was food and meals. Meals in Spain are big, long social events, unlike they typically are in the United States. Service in restaurants is slow, but this is normal. Although it was hard to adjust to receiving slow and not always friendly service at restaurants, I realized that the time I spent sitting down at meals with my classmates and instructors allowed me to get to know them well and discuss our experiences for hours. Although we bonded and got to know each other little by little each day, the long meals we had helped cement our relationships and experiences together and I am very appreciative of that. An experience that really made me consider American policy against Spain’s was when my class visited the Red Cross in Madrid. A representative told us about Spain’s immigration policies and what the Red Cross does to help immigrants coming to Spain, specifically those from Africa. Spain’s immigration policies are more open than those of the United States, despite the fact that Spain’s economy is much weaker than the United States. Although Spain’s more open policy might not represent the ideals of all Spaniards, it is a great contrast to the “Build the wall” culture that has a strong presence in the United States. Another aspect of my STEP Signature Project that allowed me to transform was just being in Spain in general. Living in a country with such a deep history is incredible. Visiting monuments and buildings that predate the United States by hundreds or thousands of years is humbling. Learning to navigate and live in a country in a foreign language was transformative as well. Although the United States does not have a national language, in all the places I have been to in the United States, I have never not been able to use English. However, I have been studying Spanish for the last six years and although it was difficult sometimes, I appreciated the chance to be able to use and practice my Spanish-speaking skills. It made me appreciate the language more than I had while learning it at home. The experience and transformation that I had through my education abroad is significant for my future career goals. I am studying to be a nurse and I think that my experience in Spain is very relevant to that. As a nurse, I will be helping people of many different countries and cultures. I believe that part of what makes being a good nurse is being able to understand the experiences your patient has gone through and the life that they have lived. Having now lived in a foreign country for a month, I think I now am able to appreciate and understand different cultures more so than before. Along with this, I am also studying Spanish and I hope to be able to use my skills and knowledge to communicate with Spanish-speaking patients so that they can be more comfortable with the care I give them. 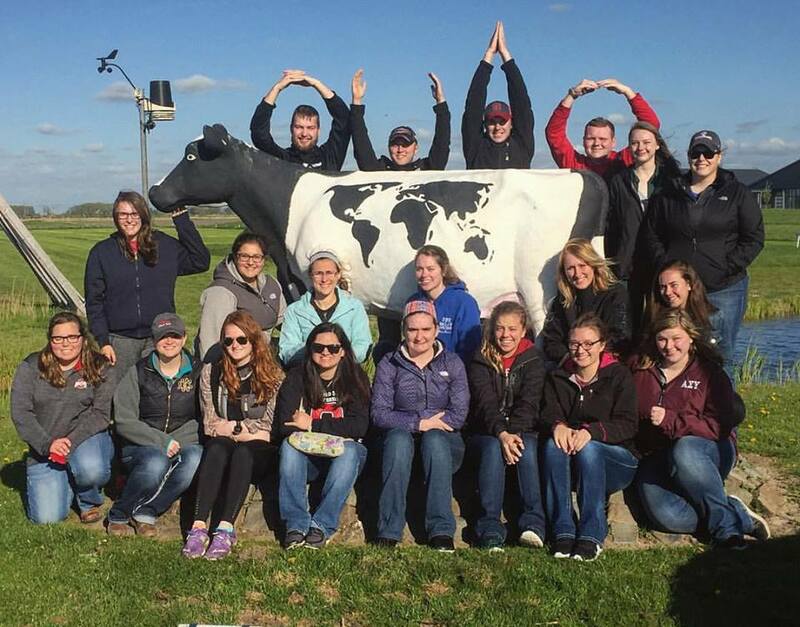 My Second Year Transformational Experience project enhanced my understanding of the demographics, economics, and culture of the Netherlands, Belgium, and Germany, while focusing on aspects of dairy farming. We visited many different dairies including horse, goat, and cow dairies, toured cheese making facilities, and gained glimpses into European culture. Upon arriving in the Netherlands, the first thing that shocked me was the language barrier. Though I have travelled to many other countries, such as Ghana and the Dominican Republic, I did not encounter such a barrier as I did in the Netherlands and Germany. I was quite disappointed in myself for not being able to understand German, as I took German for 4 years in high school. It was amazing though how everyone quickly adjusted to the communication difficulties that we faced. For example, on one of our first days in the Netherlands we were starving and were at a cafe where the workers did not speak english. I timidly pointed to an item on the menu (it ended up looking and being delicious!) and everyone else followed. I definitely learned the value of stepping out of your comfort zone. On a more serious note, we spent a huge chuck of our time speaking to various dairy farmers. Many of the farms were family owned. It was amazing to see how even though there were language barriers and cultural differences, that a love for animals and the products they give us could bond us. It was interesting to see some of the different management styles used for dairy farming in Europe, which we do not use due to differences in land size, legislation, and regulations. I am pursuing a career in veterinary medicine and this trip gave me many more reasons for pursuing this career. Farmers all over the world depend on veterinarians to help maximize their animals health, which are ultimately their livelihood. The experiences I have had on this trip have strengthened my interest in choosing veterinary medicine as a career. One of the experiences that we had on this trip was the opportunity to tour the University of Utrecht’s Veterinary Medical School. It was interesting to see how veterinary schools abroad application processes compared to the application processes in the United States. The application processes, no matter the country in which you apply, seems to be extremely difficult just like in the United States. It was interesting to hear from students in the Netherlands and understand their reasons for wanting to attend veterinary school. Their reasons were quite similar to mine. They are passionate about animals and want to help owners/farmers strengthen their animal-human bond. It was reassuring to see others from different cultures and backgrounds so passionate about a career in veterinary medicine. Similarly, we also had an opportunity to tour a research facility at Wageningen University. It was incredible to see the scope of their research facilities. They had everything from swine, dairy, companion animals such as dogs and cats, horses, lab animals, sheep, and aquaculture. Listening to the fantastic research they were doing on various things such as nutrition for dairy cattle and how to limit the environmental consequences were fascinating as they opened my eyes to more career paths in the animal science field. 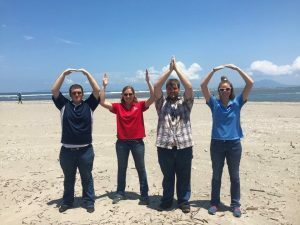 I am interested in starting research now and am currently in the middle of applying to do research in the animal science department at Ohio State. Understanding the impact of global research on medicine is vital. Finally, as I stated above, it was refreshing to see that despite the language and cultural barriers that we faced, we were able to bond over our passion for animals. It was reassuring to see great strides being done in research and hearing the concerns that people in Western Europe have for their animals. When talking to the dairy farmers, I enjoyed learning how they become involved in that way of life. Many of them grew up as children on dairy farms that were then passed down to them. Others randomly came across dairy farming randomly, but ended up falling in love with the personalities of the cows and the way of life. In Europe, they actually have political parties whose sole purpose are to support legislation to better the welfare of animals. Though people in the United States are concerned about animal welfare, in Europe I was amazed at the strength of the animal welfare activists and the transparency from the farmers. Both groups tend to meet in the middle in order to overall better the wellbeing of the animals. I have always been supportive of good animal welfare practices, but this trip helped to reiterate the roles of veterinarians. As a veterinarian, it is important to educate people on the health of animals to ensure a good wellbeing. As a student in animal sciences pursuing a career in veterinary science, it is extremely easy to get tunnel vision and think that veterinary medicine is the only career to pursue. This is simply not true. 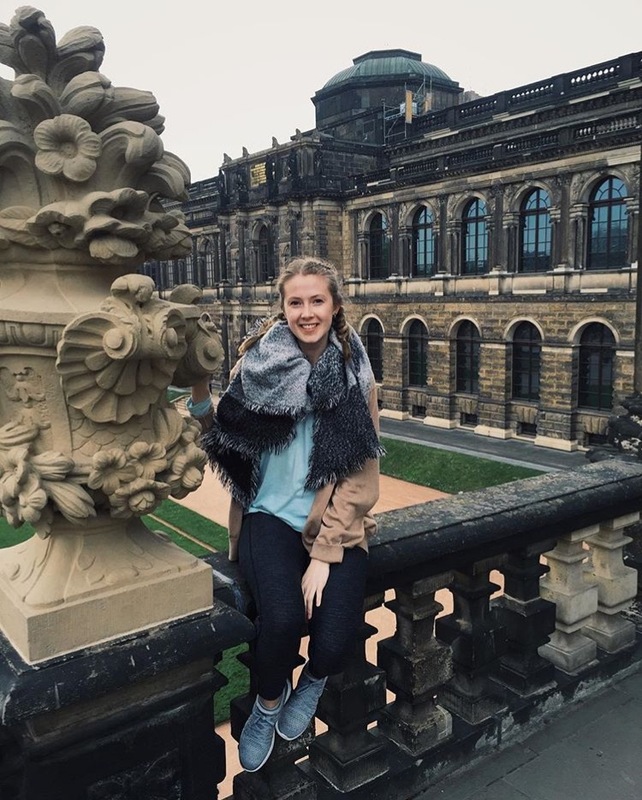 This study abroad experience opened my eyes to possibly pursing research as a career. Before this trip, I would never have imagined going abroad for graduate school. Now, when researching postgraduate plans, I will be looking to attend institutions that are both national and international. I loved every experience of being abroad. I realized that the only time I may have in my life to live abroad will be in my postgraduate years. THe Second Year Transformational Experience reaffirmed my desire to attend veterinary medical school, but also opened my eyes to other options. For my STEP Signature Project I went on an education abroad program called Engineering in Ancient Greece. The group of us that went had a week of class to complete a few projects before we travel ed to Greece for two weeks. 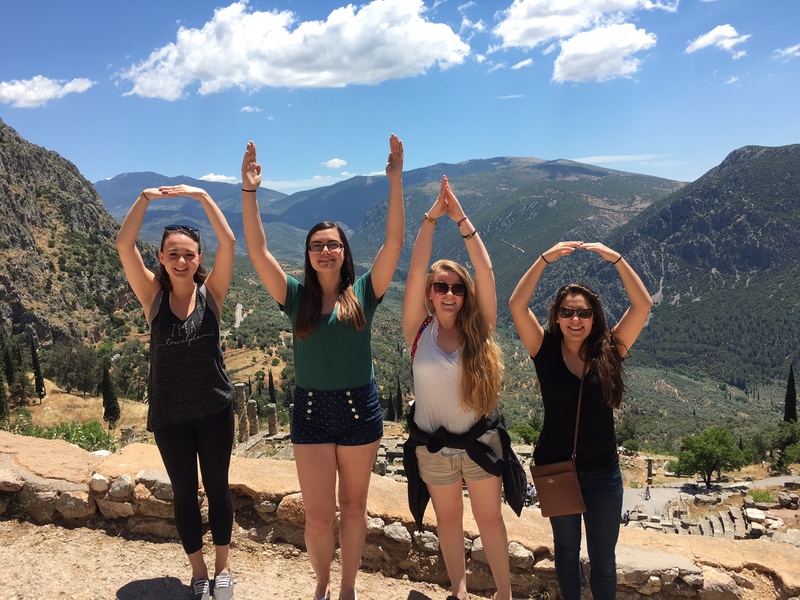 In Greece we were able to explore and see ancient sites and ruins while learning about the engineering it took to create these magnificent places. Travelling to a new country allowed me to get a better understanding of the world from a different point of view. In the United States I feel like my understanding of other cultures is very structured and textbook based rather than experience based. 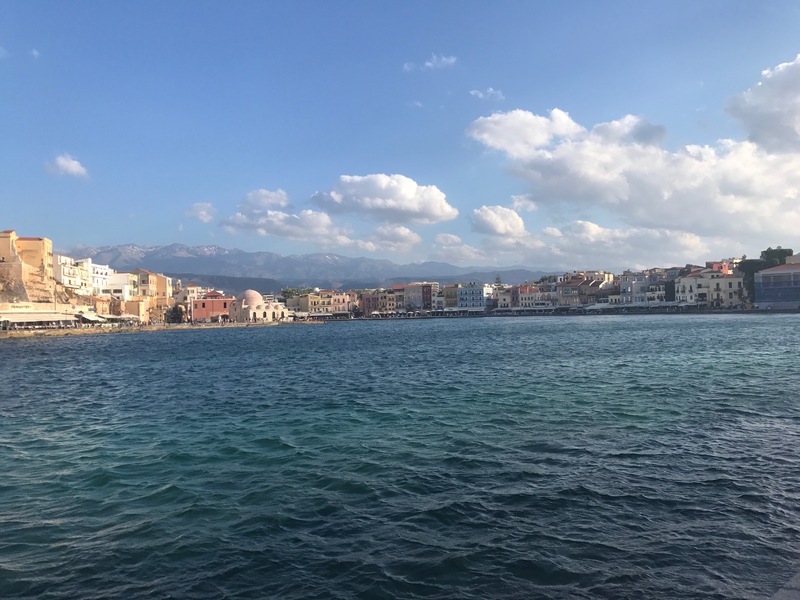 Seeing and experiencing the Greek culture showed me how many assumptions I had made about other cultures without even realizing it. The assumptions are not always necessarily bad assumptions but none the less they narrow your view of the beauty in the differences of other cultures. I do not know what other word to use besides more. The world is so much more than I imagined. More in a sense of more beautiful, more unique, more understanding than I ever could have dreamed. Being the stranger in another country that did not speak my language made me appreciate the difficulty people have when uprooting their whole lives to come to America. I arrived in Europe before the rest of my group so I was very nervous about being able to get around. To my surprise, everywhere I went I found someone who spoke English who was willing to help me get where I needed to go. Not one person was irritated that I did not speak their language, but instead did the best they could to speak English and help me. The whole trip throughout Greece none of us had any problem finding people who spoke English. This really surprised me. It made me realize how lucky we are that we live in a country whose language is the most used language around the world. Being able to study abroad and relate the experience to my discipline of study made me appreciate what I am learning in school even more. While we were in Greece we had the chance to speak with some engineers who were constructing a subway system in the city of Thessaloniki. Seeing how engineering affects the lives of people in every country around the world was very eye opening. To be a part of a field that can cause an impact around the world makes me even more passionate about my degree. Throughout this trip I built strong friendships with the people in my group who traveled with me. Even though everyone was in different majors and had different friend groups at home we all got along very well. Seeing how many different types of people are in engineering made me feel like a part of something unique. It makes me excited to know that in the future I will be able to work with all types of engineers and all types of people. It amazes me how putting people together of different backgrounds, disciplines, thinking styles, etc can create such a strong bond and productive environment. I felt that being able to work with the students in my group on a project beforehand gave me a little insight into how fun the future will be to work with so many different types of people. This experience had much greater of an impact on me than I could have ever imagined. I think this experience will push me even harder to do well academically since I am now even more passionate about my field of study. I also think this trip will allow me to be more open minded to different people and their ideas because I got to see firsthand how engineering is different around the world. My trip to Greece also made me want to travel and see more of the world. I hope to be able to visit other countries in the future and learn a new culture to be able to appreciate it even more. I also hope to find a job that I can deal with situations that will not only impact the United States, but the whole world. For my STEP Signature Project, I did a May-mester study abroad in London, England. 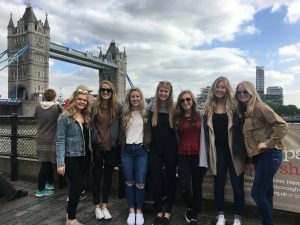 This 3 credit hour class dove into what it really means to be a U.K. native by discussing the history, customs, and culture that comes with living in England. Regular discussion based classes were paired with excursions around London, to get a first-hand look at what we were studying. Studying abroad really did change me in ways I did not expect. The largest and most important change, was my world view. Being a student who had never left the country before, studying abroad made a big world seem more attainable. No longer was Europe something I only read about in class or saw in movies. Instead, it is a place I called home for a whole month. I learned not only to get by in the city, but thrive there. There is a large sense of awakening and independency that comes with leaving everything familiar to live in, not just visit, a new place, and this is exactly what I got out of my Global May program. Also a big change in my life occurred due to the words of my professor. I will never forget when she told us, “you have to expect just the right amount of stuff to go wrong.” This is something we discovered again and again over our month in London. And it was hard. I am a planner, a stop-and-think kind of person, someone who likes to really know what’s going on. But her words paired with my crazy new environment instilled in me the ability to be flexible, go with the flow, and think outside the box when an unfortunate situation hits. The largest turning point when it came to independency was when I discovered I had contracted not just strep throat, but also mono, in the great country of England. This lead to me really having to take the reigns on my health. I had no parent to call the doctor for me, or even drive me to the appointment. I was calling my insurance provider, forwarding emails to the hospital, getting directions to the hospital, meeting with a new doctor, taking different medications (because the U.K. doesn’t offer the same meds as the USA), and so much more. I had to advocate for myself in ways I’ve never had to do before, but this grew me as a person. When it came to my worldview however, two particular events really helped to put the world in perspective. On May 22nd an attack occurred 3.5 hours away from our study aboard housing, and on June 4th, an attack occurred 1.5 miles from my hotel. These were the closest I had ever been to attacks of hate, and it also happened to be at a time I was farthest from home. No longer were these situations ones that I only heard about on the news, but experienced. I saw London as it grieved, as it increased security, as it raised its alert levels, as it tried to heal from these terrible happenings. And during my month abroad, London became my home, so the pain ran a little deeper than it ever would had I just visited. Before my trip, news was just news. Not only of bad situations in other countries, but even of bad situations in other states; everything always just felt so far away. But now I see that it’s never really that far, that it can happen anywhere, and that these situations are something to be taken very seriously. I now think more of the world around me, and London has given me a bigger heart, even for those I do not know. In between these large significant events, was day to day functions, which had a more profound effect than one could imagine. Having to find out where to buy groceries when there are no familiar stores around, or having to memorize the different tubes lines because you lack a car, are just a few things that helped me feel independent. Not every corner was lined with a Panera, so we all really had to explore and try new things before we found that quick, cheap place to eat lunch. Even small changes in my verbiage showed that I was better at adjusting than I thought. No longer was it “exit”, but it was “way out”. No longer did I ask for the “restroom” but instead, the “toilet”. London even forced me to learn the simple task of how to cook pasta, in order to save a few bucks by not eating out. 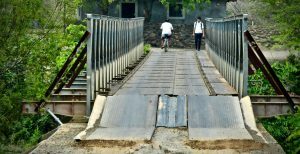 The trip to class no longer required thought, even if it was a 40-minute commute. All these little things, no matter how small, became the big things. These changed were quintessential for my life, even if I didn’t realize that at the time. College definitely gave me more independency, but Europe gave me maturity. I had to really learn how to take care of myself, and make my own decisions, but because of this, I feel so much more prepared to take on the real world after graduation. I no longer doubt my abilities to fully adjust to a brand new city when I move one day- from navigating it on my own, to finding the hot spots, and even to feeling out the safety of certain areas. My classroom experiences will also be so changed from this trip. Learning about Great Britain in texts will be more relatable given that I have experienced it all first hand. However, beyond just that, I will think further outside the box. When hearing about new medicines or procedures in my pharmacy classes, I will now think about how this affects the rest of the world, not just America. I am also more aware of the differences in health care and medications of different countries now, and that is something I will have to understand when dealing with foreign patients in my future career.